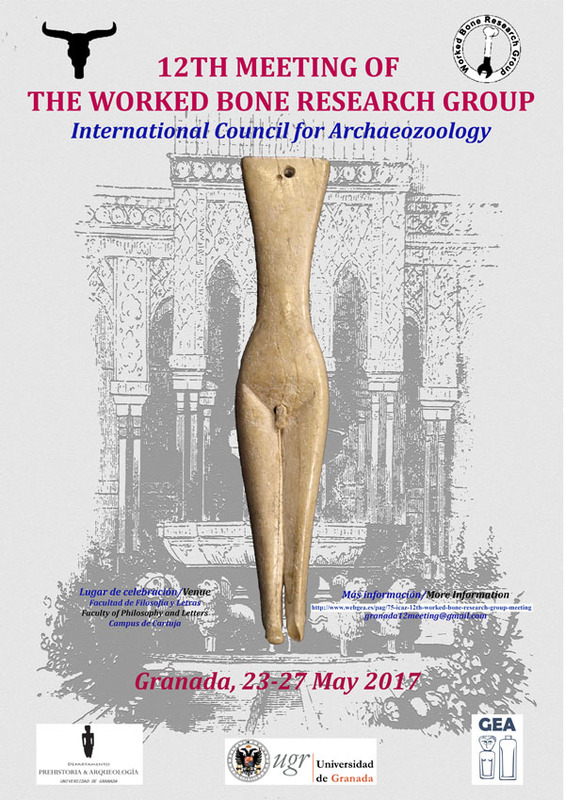 The GEA Research Group and the Department of Prehistory and Archaeology of the University of Granada, will host the 12th Worked Bone Research Group (WBRG) Meeting of the International Council for Archaeozoology (ICAZ), between Tuesday 23th May and Saturday 27th May 2017. The preliminary program includes three-four days of oral and poster presentations, and a final excursion of one day to Cordoba and its Umayyad Great Mosque (Unesco World Heritage), as well as a visit to the Antequera Dolmen Site (Unesco World Heritage). We plan to publish the Proceedings of the 12th Group (WBRG) Meeting of the International Council for Archaeozoology (ICAZ) in BAR International Series. If you would like to attend this meeting and/or you have any comments related to it, we ask that you let us know as soon as possible. You should contact scientific coordinators Manuel Altamirano or Eva Alarcón (granada12meeting@gmail.com).